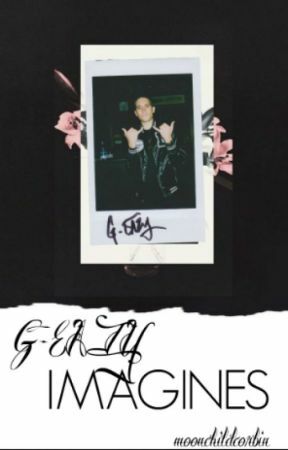 "Hey everybody, today we&apos;re here with none other than, G-Eazy!" the interviewer spoke into the microphone, Gerald looked up at the camera and half smiled. As the interview went on she asked him questions about his music, upcoming tours, ect. Gerald didn&apos;t seem too into it, these are questions he&apos;s been asked and has answered a million times. "Okay, G. How&apos;s Y/N?" Gerald&apos;s face lit up at the sound of your name. A smile grew on his face and he adjusted his sitting position. "She doing great." He smiled. "You seem so in love." the girl smiled. "I am," He laughed. "She&apos;s my lil ugly. I don&apos;t know what I&apos;d do without her, She keeps be grounded. Yuh know what I mean?" The interviewer nodded, pushing some hair behind her ear. "Its nice to know that there is something as pure and beautiful as her in my crazy life."